Below features a couple of pages from Raley's history book. 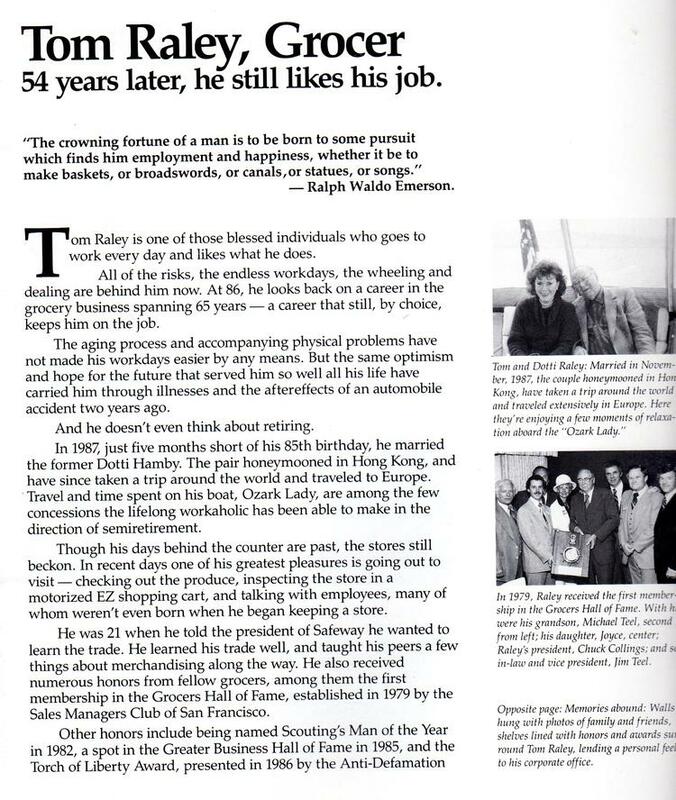 This is just one of many reasons Charles Nordby never received any attention from the news media concerning his book and his fraud lawsuit against Raley's. It was too damaging to Tom Raley's legacy. How interesting too is the fact that Tom Raley received (according to Raley's history book) the 1986 Torch of Liberty Award from the Anti-Demation League. How ironic that every thing about Raley's was a defamation of Charles Nordby and his legacy. One question: Why did Tom Raley receive this award? 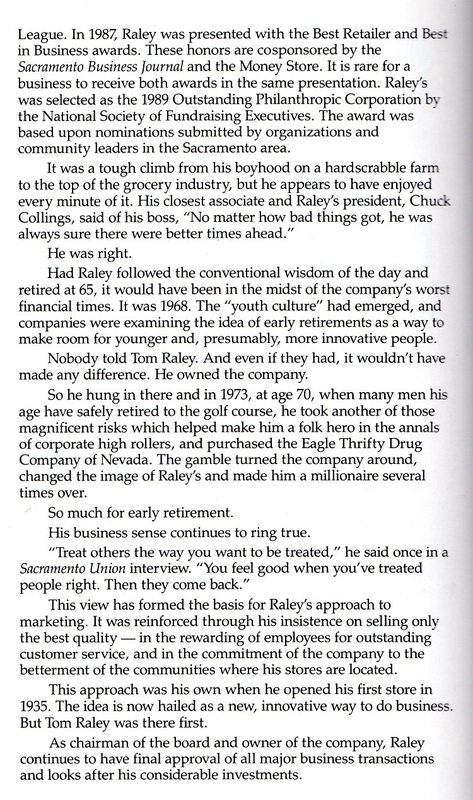 Tom Raley didn't receive any awards until after Charles Nordby turned around Raley's troubled supermarket chain during the mid 70s. Not one.